Aerial view flying over rapeseed field with storm and rainbow in distance in Skane, Sweden. hd00:30Aerial view flying over rapeseed field with storm in distance in Skane, Sweden. 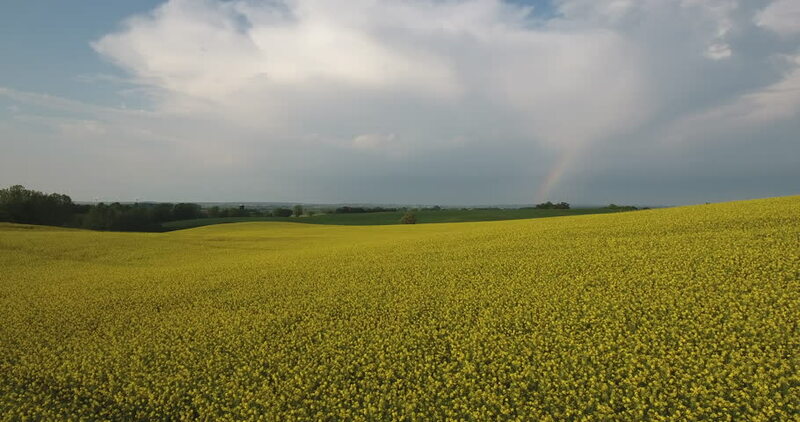 4k00:23Aerial view ascending while tracking left to right over rapeseed field with storm and rainbow in distance in Skane, Sweden. 4k00:30Aerial view flying very low over rapeseed field with storm in distance in Skane, Sweden. hd00:14Time Lapse Clouds with motion control tilt up to a clearing blue sky, extreme wide angle. Shot on Nikon Stills camera and processed as Pro-res HQ at all stages. 10 bit video. hd00:29Aerial view ascending over rapeseed field with storm in distance in Skane, Sweden. 4k00:58field green yellow against a background of thunderclouds.